While there is huge scope for business opportunities, just one commercial or private drone accident could hamper the industry’s progress, a new report for the House of Lords reveals. The report, published by the EU Select Committee, said there had been a rapid increase in the use of commercial and civilian drones, or Remotely Piloted Aircraft Systems (RPAS), for services including photography and land-surveillance. The high demand, however, could stagnate if there is even one serious accident. The Committee is recommending authorities design an app to monitor levels of drone traffic. Their report comes only months after a near collision between a civilian drone and a passenger plane at Heathrow Airport, sparking questions about the effectiveness of current safety legislation. 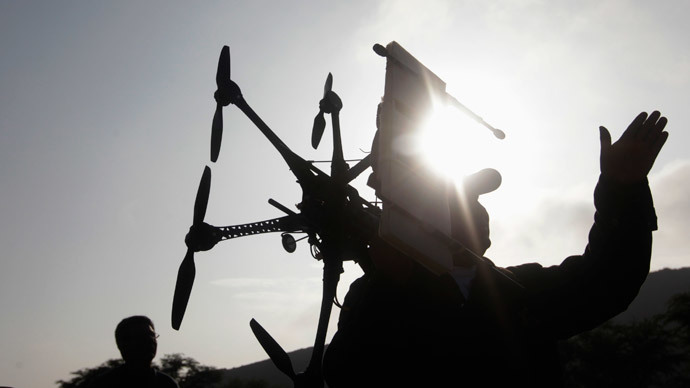 “2014 could be described as the year of the drone,” the report says. The UK has to date issued permission for the commercial use of 600 drones. But she warned that aviation authorities needed to manage the increased flow of drone traffic. “We have a huge opportunity to make Europe a world leader in drone technology,” she said. “But there’s also a risk – public understanding of how to use drones safely may not keep pace with people’s appetite to fly them. It would just take one disastrous accident to destroy public confidence and set the whole industry back. “That is why a key recommendation is that drone flights must be traceable, effectively through an online database, which the general public could access via an app,” she said. “We need to use technology creatively, not just to manage the skies, but to help police them as well,” she added. Their call for reform of current legislation follows a demand by the British Airline Pilots’ Association (Balpa), which called for better protection of the public from the risks of drones. It called for drones to meet the same safety standards as piloted aircraft, whereby the technology is only flown by operators with pilot-equivalent training.